Acne and acne scar are among the top concerns of many people. Whether you are in your teens or in your 30s and even 40s, having acne and acne scars can be a long and frustrating battle. What makes it worse is that it can appear on the skin in many forms such as tender red bumps, blackheads/whiteheads, pustules, painful lumps, and cysts. Acne occurs when your pores become clogged with oil, bacteria, and dead skin cells, or when the sebaceous glands are infected or inflamed. While having acne and acne scars are not harmful, it can negatively affect a person’s confidence. It is best to start acne treatment before it becomes serious or when the acne scars are becoming more visible. It is important to understand that an effective acne treatment is essential before treating acne scar. The first step is to manage the active acne first as acne scars cannot be treated if there are still breakouts. 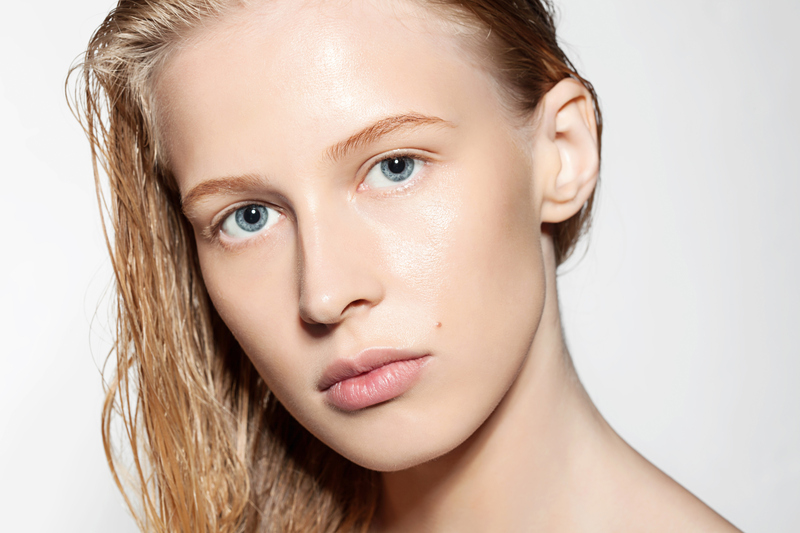 Here are your treatment guidelines for acne and acne scars. A good skin care regimen, which include cleansing and toning your face twice daily, may help you battle with acne. It is also a good idea to use prescription topical creams or products with benzoyl peroxide or salicylic acid. Both ingredients are known to help treat acne by killing the acne-causing bacteria in your pores. But just to be safe, it is best to do your homework or consult an experienced aesthetic doctor before trying any acne medication or treatment. You should also know that when using acne medications, you cannot expect to see results overnight. You have to use the product for several weeks before you can see improvements. There are also instances where your breakouts can get worse before they get better. Just be patient and make sure to avoid picking your skin and using different products all at once. The Cutis Anti-Acne Peel is an effective acne treatment that is derived from willow plant extract which is well known as salicylic acid, which has been proven to penetrate and clear out pores. Its high yet safe concentration helps reduce breakouts by unclogging the pores and killing the acne-causing bacteria. This is ideal if you have mild to moderate acne vulgaris, and can be used to treat acne in the face, neck, and back. VI Peel is a stronger chemical peel treatment with a special formulation that can clear acne skin conditions, reduce/eliminate acne scars, as well as soften wrinkles, eliminate freckles and age spots, and improve skin tone. It can also stimulate the production of new collagen, for a firmer and younger-looking skin. You should know that three days after the treatment, your skin will start to peel off and this can last from five to seven days. Once the peeling has completed, you will notice a clearer and healthier skin. You can also return to work after receiving the peel, but strenuous exercise should wait until the first five hours after the application of chemical peel. Laser Genesis is an innovative and FDA-cleared laser technology procedure that can safely and effectively treat fine lines, enlarged pores, and uneven skin texture. It can be combined with a chemical peel treatment to further fight acne. Furthermore, Laser Genesis has no downtime which only means that it can reduce skin inflammation and assist in the healing of potential scarring from acne. The procedure involves the use of a laser handpiece that is placed above an inch of your skin and is moved back and forth. You are likely to experience a gentle warming on the skin’s surface, but patients often describe the treatment as relaxing and therapeutic. You can immediately return to your normal routines, but don’t forget to apply sunscreen when participating in outdoor activities. Dermapen is a safe and automated skin-needling device that can address a variety of skin conditions. This can reduce surgical and acne scarring, pigmentation, and stretch marks, as well as improve fine lines and wrinkles and promote skin tightening and rejuvenation. Compared to traditional micro needling rollers, Dermapen is more safe and effective because of its unique vertical micro needling technology. When it comes to treating acne scars, the needles can easily penetrate the scar tissues, which can induce immune-healing response. This then encourages the production of new and healthy collagen. Another great thing about Dermapen is that it promotes scar-less healing without any side effects. It is also an effective drug delivery device, which also means that any product applied into the skin during or after the treatment is easily absorbed into the skin. This makes it more effective than a conventional topical application. The Cutera Pearl Resurfacing procedure is a FDA-cleared non-invasive treatment that reduces wrinkles, uneven texture, scars and solar damage with fewer treatments and less downtime compared to other technologies. It safely combines the effect of resurfacing lasers with the gentleness and safety of non-invasive procedures. It uses a handheld device that treats the skin with pulses of light in a pre-selected pattern. The skin will immediately form a protective dressing that will then peel off after three to five days revealing healthier, smoother skin with a “pearly glow”. You are likely to notice overall skin clarity, softness, and smoothness after at least one to two weeks. Learn more about the mentioned treatments by contacting Cutis Laser Clinics in Singapore and scheduling a consultation with our Harvard-trained aesthetic doctor, Dr. Sylvia Ramirez.